Exporter of a wide range of products which include handmade umbrella. 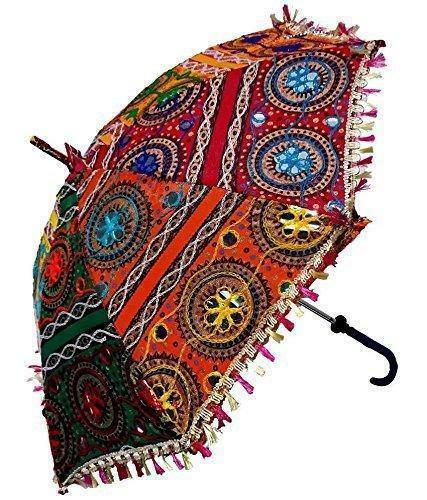 This Umbrella (Chatri) is Handcrafted By Village Artists in Rajasthan. The Umbrella is Beautiful And Complete Designer Work. These Handicrafts Are Designed In Various Colour Combination And Are Offered In A Multitude Patterns, Various Other Specifications.These Indian Umbrellas Are Beautiful And Complete Decorated With Embroidery Work.